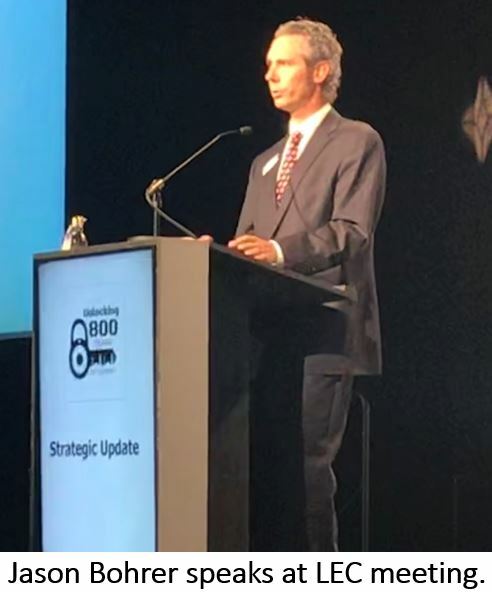 Governor Doug Burgum will serve as the next chairman of the Interstate Oil and Gas Compact Commission, the organization of state and provincial oil and gas regulators. Burgum delivered a one-hour “TED-like” talk that wowed the group at its annual conference this week in Coeur d’Alene, Idaho. Burgum, who spent his private sector years in the computer software industry, said technology has revolutionized energy production. He said “energy dominance” will be a game-changer because it means the United States can re-purpose the money it has historically spent protecting energy interests in the Middle East. Click here to listen to Burgum’s comments. 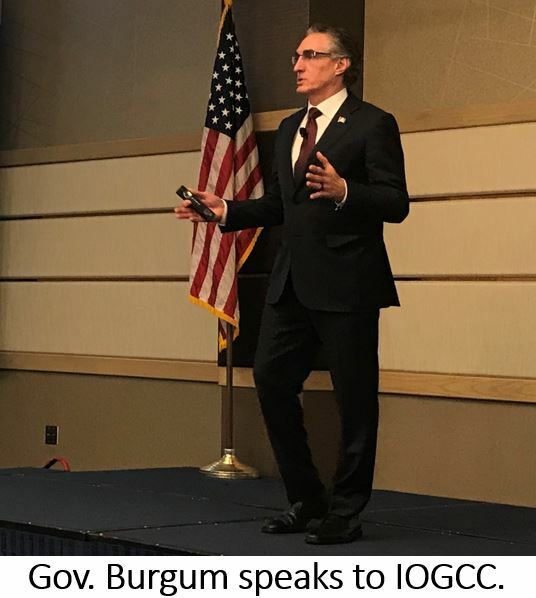 Burgum urged the crowd of oil and gas regulators to embrace a principle he advocates – innovation, not regulation – because technology can solve most problems. Many of the states at the conference described problems with orphan or abandoned wells. Burgum said developing solutions to the problem would be among his top priorities as chairman in 2019. 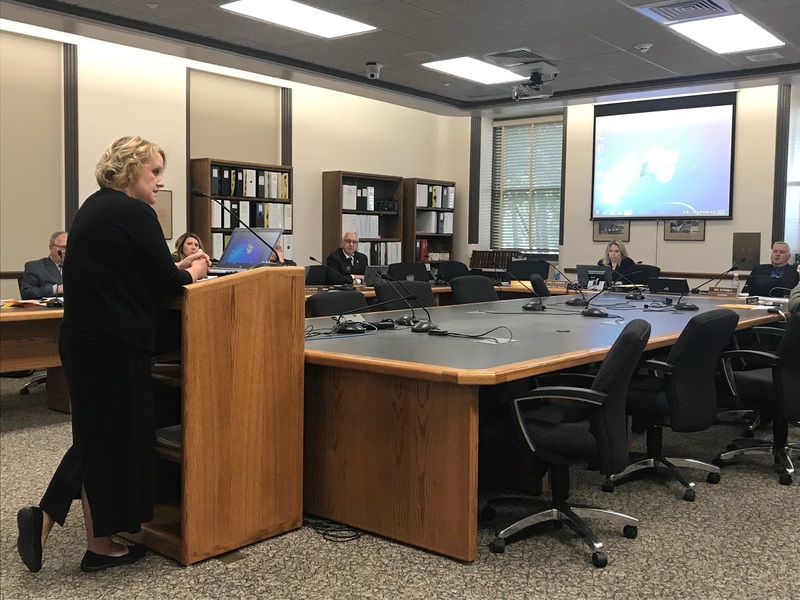 The North Dakota Legislature’s interim Education Funding Committee wrapped up its work yesterday and although it won’t be introducing legislation on behalf of the committee, there will likely be several bills introduced in the 2019 session related to its discussions. Among those will be “on-time funding,” which simply means that money provided by the state to support local education is based on the enrollment figure for the current school year. The state’s Foundation Aid formula now bases payments on the previous year’s school enrollment, which helps protect districts where enrollments are declining. 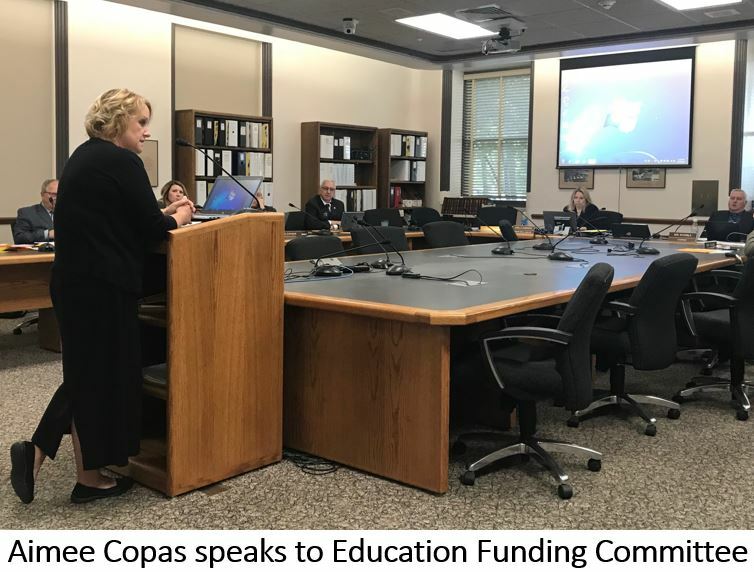 But Aimee Copas, executive director of the ND Council of Educational Leaders, said the lack of on-time funding in the current formula results in school districts with increasing enrollments (like those in western North Dakota) providing services to additional students without additional funding. “The challenge is, how do you lift up the ones that are growing while you take care of the ones that are declining because that ebbs and flows over time,” Copas said. Copas said shifting to on-time funding would cost an additional $68 million to catch up, but it’s a one-time expenditure. She said the legislature could try to “get there in one fell swoop,” or consider a “more palatable option” to phase in on-time funding over several sessions. Copas said declining districts could still be protected by continuing to allow them to use the previous year’s enrollment figure if it’s larger. 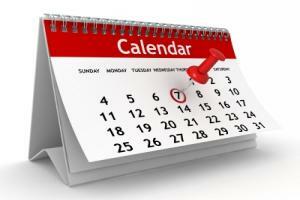 Click here to see Education Funding Committee links to detailed minutes of its interim meetings. Several more organizations have added their names to a growing coalition urging North Dakotans to vote NO on Measure One. North Dakotans for Sound Government, a coalition led by the Greater North Dakota Chamber, announced today that local chambers from Grand Forks, Minot, Fargo and West Fargo, as well as the ND Ethanol Producers have joined in opposition to the so-called “anti-corruption” measure. Senator Jessica Unruh, R-Beulah, who was interviewed this week on the radio program Energy Matters, urged fellow North Dakotans to oppose the measure, which she said is almost entirely funded by out-of-state groups. Click here to listen to Sen. Unruh’s comments. Opponents are concerned that the sweeping financial disclosure provisions would have a chilling effect on Freedom of Speech. The North Dakota chapter of the American Civil Liberties Union is among the organizations opposing the measure on First Amendment grounds. Although not officially a member of the coalition, the North Dakota Catholic Conference also announced its opposition to Measure One this week. Christopher Dodson, Executive Director and General Counsel for the group, said the disclosure requirement would impact religious charities and social service groups. Dodson, who was interviewed on the radio program What's on Your Mind, said proponents may not have intended to include church organizations and will argue that the legislature could “fix” the problem. But Dodson said Measure One language would prohibit a fix because it says the legislature may not “hamper, restrict, or impair” the measure. Click here and advance to the 31:59 mark to listen to the full interview with Christopher Dodson. Click here and advance to the 34:02 mark to listen to the full interview with Senator Unruh. 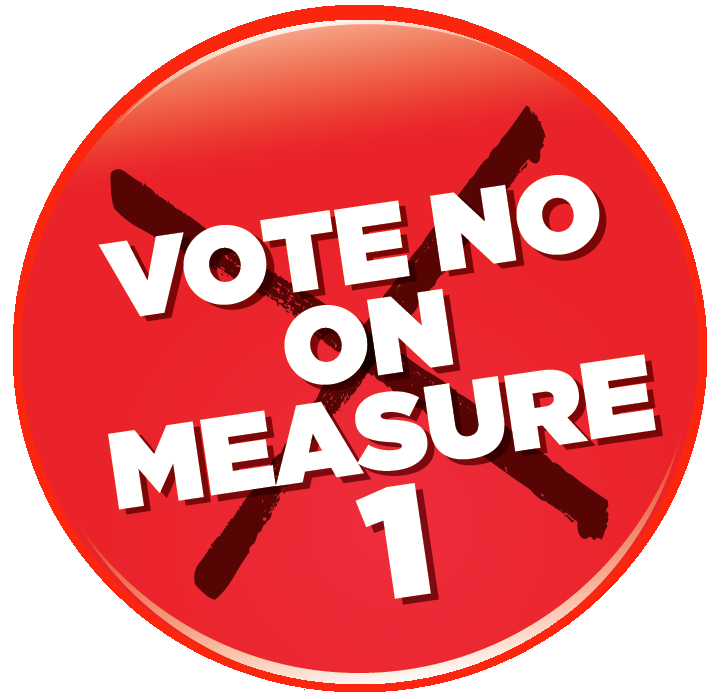 Click here to read the ballot measure language. Electricity from North Dakota’s coal-fired generating units is available 24 hours a day, but generators are not compensated for ensuring grid liability. Leaders of the state’s lignite industry hope to do something about that. Click here to listen to Bohrer’s comments. The coal industry was unable to convince the Federal Energy Regulatory Commission to act on a proposal endorsed by the Department of Energy to compensate 24/7 power providers for keeping the grid reliable. Bohrer said the LEC may have better luck convincing the RTOs of the need to ensure coal-fired power producers remain financially stable. Click here to see an LEC video that explains the difference between dispatchable and intermittent electricity sources. The LEC Board of Directors heard an updated economic study of the lignite industry this week. Dean Bangsund, the NDSU research scientist who conducted the study, said the overall economic impact of the industry jumped from $3 billion annually to $5.7 billion. Bangsund said the industry’s contribution to state taxes also increased from $200 million a biennium to $260 million. Click here to read more in LEC’s October issue of Table Topics. The Burleigh County Commission voted this week to join the LoadPass Permits system for the movement of oversize trucks on its county roads. Burleigh County is the latest non-oil producing county to join LoadPass. It will officially join the system on January 1. County Engineer Marcus Hall said the county has been interested in finding a better way to manage overweight truck traffic. "We've experienced in the last few years a real big increase in what I would call 'super heavy loads,' 250,000-plus pounds, and traveling many miles on some of our county roads," Hall said. Hall said Burleigh County has an oversize permit process, but it's more for tracking where the loads are, not collecting fees to help cover the cost of damage caused by heavy truck traffic. 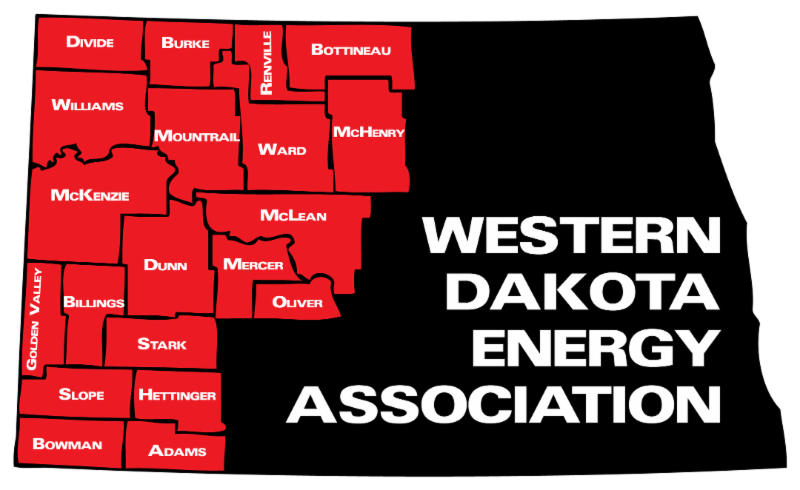 Other counties have indicated an interest or are actively considering participation in the permit system, according to Janet Sanford, who manages LoadPass for the Western Dakota Energy Association. “In addition to Burleigh’s vote this week, we’ve also received an indication that Towner County would like to join LoadPass,” Sanford said. WDEA will have a booth with additional information about LoadPass at the annual conference of the ND Association of Counties, which opens this weekend at the Bismarck Event Center. WDEA’s LoadPass Advisory Committee will meet at the conclusion of the conference, Tuesday, Oct. 9, at 2:15 pm. Once again, hundreds of workers, employers, companies and regional businesses networked in Williston this week. The 8th Annual Bakken Oil Products and Services Show lined up vendors and businesses for browsing and networking. 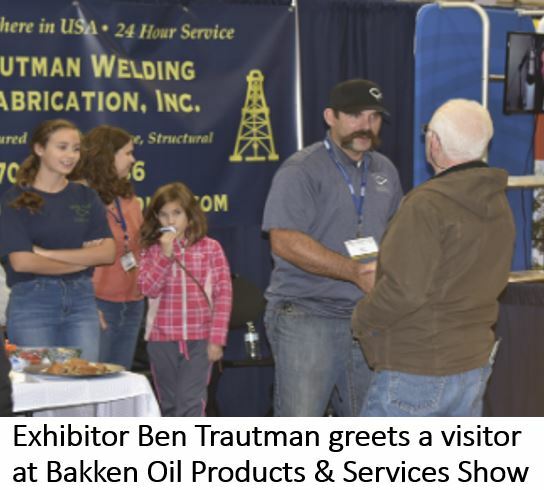 Among the nearly 100 exhibitors at the show was the Trautman family that moved to North Dakota to service drilling rigs. Ben Trautman came from Oklahoma for a two-week project servicing a drilling rig, but decided to move his family and stay. In seven years, Trautman Welding has become a consistent fixture in the oil field with 15 employees working from welding trucks or in the fabrication shop. “Being from the oil fields of Oklahoma, we know drilling and the infrastructure," Trautman said. "We take incomplete design concepts, refine and build them. 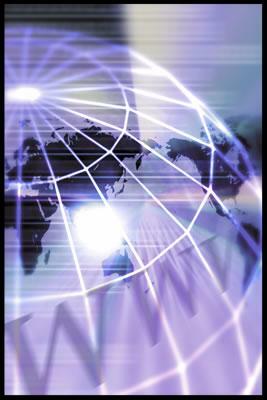 The key to growth is to network with these other companies here and support them." A complaint against Meridian Energy's Davis Refinery project near Belfield has been dismissed by a Burleigh County District Court judge. The Dakota Resource Council's motion for summary judgment was denied and all claims dismissed with prejudice. Another North Dakota judge finalized his recent conclusion that state regulators don’t have a say in the site. 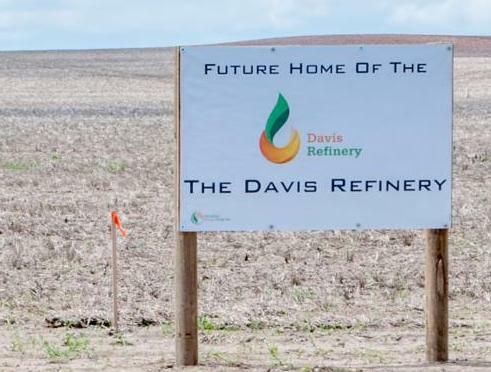 Administrative Law Judge Patrick Ward released his ruling this week that the refinery will not produce enough to fall under the oversight of the ND Public Service Commission. Environmental groups are asking Judge Ward to reconsider his recommendation. Click here to read more about the ruling. North Dakota oil producers have seen explosive growth the past decade, but so have the electric companies that serve them. This week, one of those companies moved into a new office building in north Williston. Mountrail-Williams Electric Cooperative held a ribbon-cutting ceremony to officially open the co-op’s new 85,000 square-foot office building. General Manager Dale Haugen said the electric load currently served by the co-op is about 15 times larger than it was in 2010. Haugen said the new office building is equipped with lots of high-tech features, multiple conference rooms and plenty of space to accommodate additional growth. Click here to read more from KX News, or here for more from the Williston Herald. 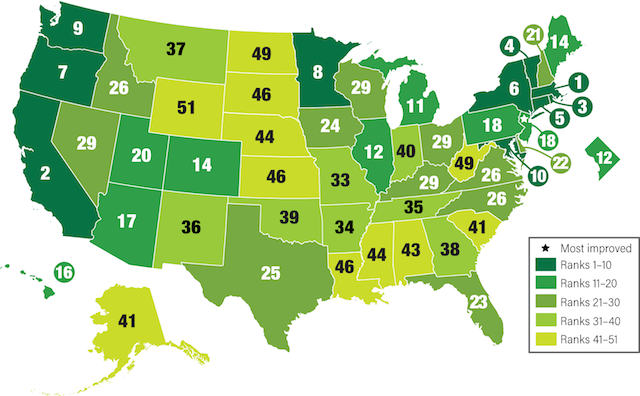 The American Council for an Energy-Efficient Economy says North Dakota and other energy-producing states rank low in energy efficiency standards. The scorecard assesses state policies and programs in six areas: utilities, buildings, transportation, state government, combined heat and power, and appliance standards. The word "petroleum" literally translates as "rock oil." 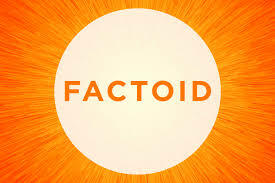 It comes from the Greek word "petra," meaning rock, and the Latin word "oleum," meaning oil.